In terms of construction, the Bridgestone Battlax RS10 has been revised to upgrade cornering, add stability and provide a smoother ride. The front tire's mono-spiral belt is made with stiffer steel which improves the rigidity of the tread area. The rear tire also has a softer sidewall construction for a smoother ride and is 650 grams lighter than the RS10 predecessor (BT003 Racing Street), which reduces the gyro effect, making leans easier in corners. From compound side the rear tire adopts a cap and base layer compound in order to reinforce the stiffness of the tread. Higher levels of grip over a wider temperature range are added by the use of a newly-developed compound based on Bridgestone's acclaimed VO2 racing slick tire derivate from MotoGP™ acknowledgements, providing riders with superior handling and line-tracing precision. The RS10 profile was also revised, giving the tire a larger contact area in mid to high-angle leans, producing better grip. This improvement gives the rider a more confident feeling through corners. High-performance sport radials optimized for high-grip and handling performance on dry surfaces. Bridgestone’s MotoGP™ development analysis was used to determine the placement of new 3-D tread grooves to improve stability, grip and handling by optimizing block stiffness. Specially formulated rubber compounds front and rear offer sure grip as well as increased durability. Front tire uses a Mono-Spiral Belt constructed with stiffer steel to enhance rigidity of the tread area for upgraded response and stability. Rear profile enables a larger contact patch for improved grip in mid to high lean angles. Cap and base on rear tire adds tread stiffness for stability when braking and accelerating. Rear tire has softer sidewall construction incorporated for better damping to improve handling. Absolutely love these tires. They're very sporty, great profile, turn in like a dream and no one has a better price than Rocky mountain. I've been running Bridgestone s21 for the last couple years and love them but with these being so much cheaper than the s21s right now, I figured I might as well get my first taste of race tires. I've searched and at this price, they're a steal. This is a great tire and a great price. Go get em. Done about 150 miles on these and can honestly say they are great. Quick 40 mile highway ride got them scrubbed and heated for the canyons we were about to run. Once we got there I didn’t push to hard but fast enough than most. The grip and quickness into turns is definitely more noticible than the r21’s I had previously. Overall great tire and price! I bought these exclusively for track days, upgrading from a pare of S20 Evo. Just did my first track day with these tires at Laguna Seca, much better than the S20's and the wear so far is pretty good. great tire for track or street. 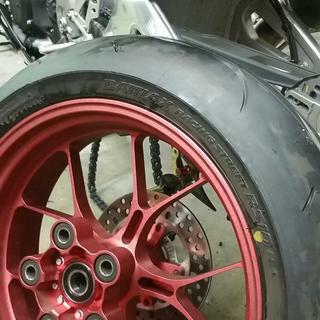 These Bridgestone RS10’s came factory on my gsxr 1000r and my zx10r these tires warm up quickly and stick like glue the reason they don’t receive a 5 star rating is due to tire life and easily gets a flat spot if you do any type of hwy riding. But for beginner or novice track days or mountain runs only they’re fantastic! I love the RS10 tires they are the best to me. Amazing grip and on Rockymountainatv.com they are at a great price with free shipping so you can't beat that. I always get my tires through them always the best prices. 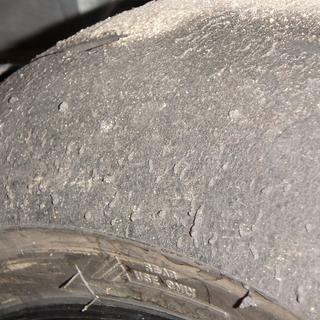 A cost effective option for the Pirelli Supercorsa tires. 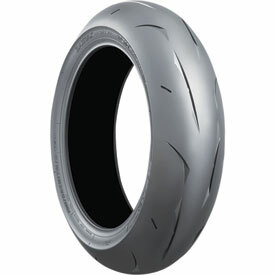 Great price for tires that perform pretty darn close to the OEM tires the Panigale comes with. I have been using the RS10's for a year now and love them. When buying these tires I was TERRIFIED of treadlife horror stories. People saying the lifetime was measured in hours MAYBE days. And because of that when I first got them I avoided street riding at all costs to preserve the profile. After three high intermediate track days and probably two thousand miles of highway/commuting usage (some with luggage) I'm just now hitting wear bars. I'm running them at 30f/28r and they're great. The grip is wild though. I'm in love. The front tire under braking is like nothing I've ever used before. You plant it and it just does whatever you want. 100% confidence to throw it into a braking zone and hope for the best. The rear though is incredibly narrow compared to a Pirelli 180/60 and it shows. I've often over run the edge of the tire and when I replace them I'll likely get the 190/55 even though that is still 0.25" less surface area than the 180/60 Rosso III. Three small recovered highsides but thats probably mostly me looking for grip that just isn't there. I was surprised at how reasonable the commuting rain grip is on them but only in a straight line. Even damp off ramps are squirrely when leaned over but commuting they're reasonably good for having like zero grooving. Overall its a /fantastic/ tire for the money and probably the only Bridgestone I'll buy more than one time. There is no way I'll get another 180/55 again though. Its just too narrow. I first tried the RS10 on my Yamaha R1M. Almost immediately the sense of grip and feedback was impressive. The first thing i noticed was how good the overall side grip and feedback was when driving hard out of the corner. Even with the tire being moderately warm and not fully up to temp the Rs10 has great traction and feel. 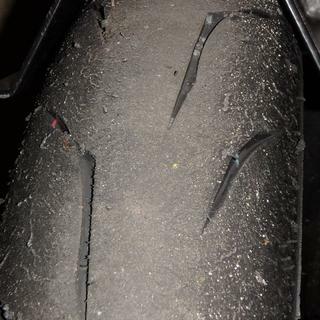 I've been riding 20+ years and have always been a loyal Dunlop guy when it comes to slicks for track but i have never had the confidence in the Dunlop street options. I have tried the Q2, Q3, & S20 and the RS10 in my opinion is in a different league for performance. If there is anything negative to say it would be the rear wear isn't the greatest. 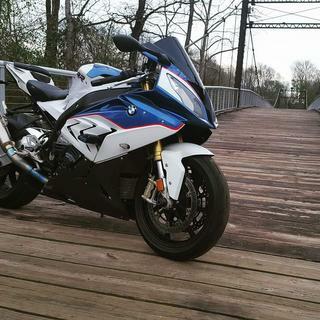 Maybe 1000-1300 miles on the street if your a faster pace or canyon rider. Probably get a lot more if your going to and from work. The fronts however seem to last forever. They also have great grip and feedback. Personally I go through 2-3 rears for every front and even then the front isn't totally worn. I feel for the price and the performance they deliver the rear wear is a happy trade off. I would highly recommend the RS10 especially for higher horsepower motorcycles. 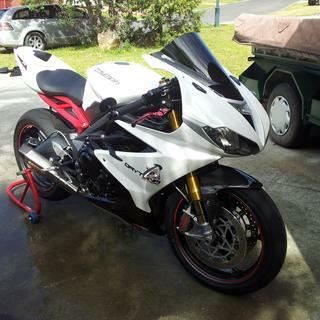 on the street on my Triumph 675R they are great running them at 34psi front and 36psi rear. 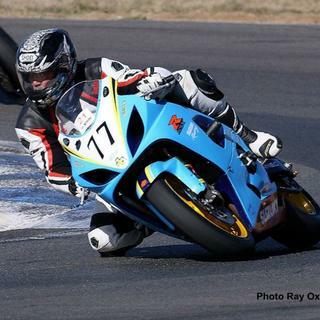 on the track on my GSXR750 they are just great although the rear wears quick, but is good to the end. Great tire. It grips and gives great feedback. I ride the tire pretty hard and it never gets loose, front or rear. Only ride in dry conditions and never in the rain so i cant speak for rain conditions. I ride 421 the Snake every weekend these are great. Purchased a set after reading the positive reviews online and I was pretty impressed. I typically use Q3's on my SuperDuke but I decided to try the RS10's for a track day and they did not disappoint. Only one lap warming up and they were ready to rock n'roll. After 76 miles of track time, they are worn to the edges, balling up and pretty beat up, I think I still have 1,500 or 2k miles of thread in the rear and probably 3 or 4 k in the front. We shall see. I'll likely replace the rear for another RS10 and when the time comes to replace the set, I'll get another one. Excellent grip with brilliant wear. The local twisty road is one which overheats and destroys tyres rapidly. The RS10 is offering comparable grip to a D211GP, but with much better life. Tires are awesome/amazing ! Never had a tire heat up so quick and stick to the road like these do ! Will never run anything else on my bikes ! Thanks bridgestone yall are setting the bar really high for all your competitors !!! These tires inspire confidence. 3 compound give you longevity on the center and more grip as you lean the bike more. I try not to commute as much because my bike really likes to eat tires. 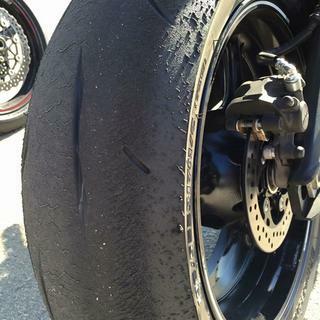 These tires have served me well in aggressive weekend rides as well as track days. 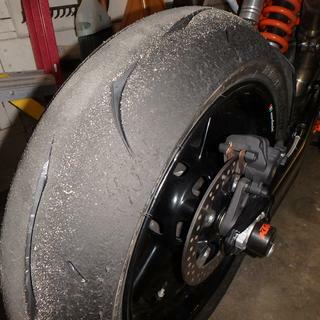 I have used them at track days without tire warmers and they heat up quickly. They feel planted, and you get good feedback from the road. They are a great value at $230.00 shipped for a 120/70 and 200/55 set. 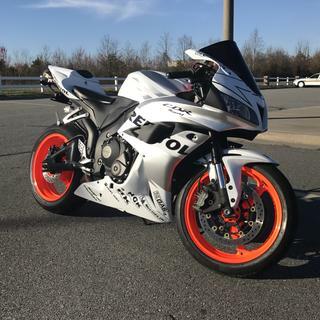 I recommend them to anyone who likes to ride spirited and does not require Race DOT tires. 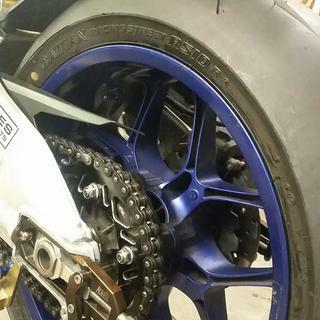 Excellent tire for moderate to fast pace track days, not to much life for the street. Very sticky tires on the street. These tires get eaten up fast if ridden hard in the mountains. would have given 5 stars but lasted me only 1000 miles. These a really aimed at track days. I used on the ROAD ONLY. 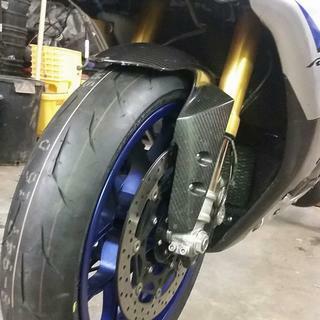 Used a set of these at a track day in the summer without tire warmers and they were great. The rear was easily half worn out after just the 1 day on it. The front was still in good condition. The same rear lasted through a trip to deals gap then it was done. 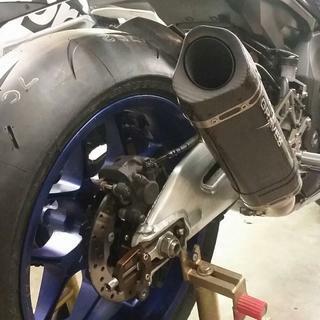 I ordered a 180/55 rear for my next track day and bought some warmers, re-used the same front. MUCH BETTER!! 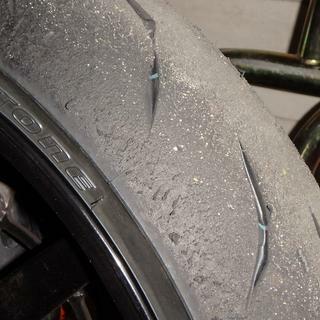 The rear showed very little wear after all 6 full 20min sessions at an upper intermediate pace. For the price these can't be beat. I recommend warmers if you want any life out of them though. I've run and raced on the race version of this tire for a number of years and wanted to try this "street" version for a trackday weekend at Buttonwillow. These tires had excellent grip, were very predictable. I will use these again in a heart beat for trackdays. These tires are very very good! They grip extremely well, feel excellent hard on the brakes, corner entry is really confidence inspiring and they hold the line thru the corner! Excellent side grip and great drive off the corners. The softer sidewalls make the ride a little nicer getting to the mountains where you don't feel every little crack in the pavement but still feel great in the corners. No squirming at all thru the curves even when pushed really hard. I bought another set already! What's the difference between the RS10 and the RS10-G, other than price? BEST ANSWER: The RS10 "G" spec is the OE spec for either the Yamaha R1 or R1M. This tire is tailored to meet whatever characteristics that Yamaha was mandating for the tire. The general tire is designed for and tested on a range of bikes to meet the characteristics we (Bridgestone) want the tire to meet. depends on manufactoirer such as Yamaha or Kawasaki or others. Different harder compounds on the OEM tire, where as the regular rs10 tire has more grip. 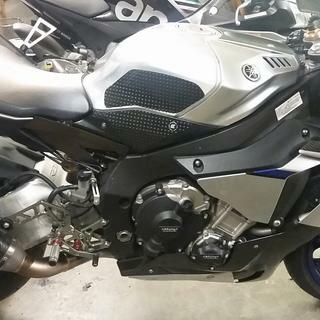 -G is the Yamaha is the OEM spec.